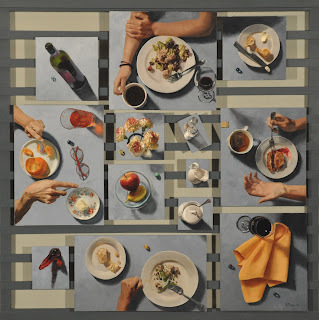 First, it was just announced that my painting, The Conversation, also won the "People's Choice Award" in the Springville Museum Spring Salon, a first for me. Second, below is my latest finished painting, "Comfort Food". 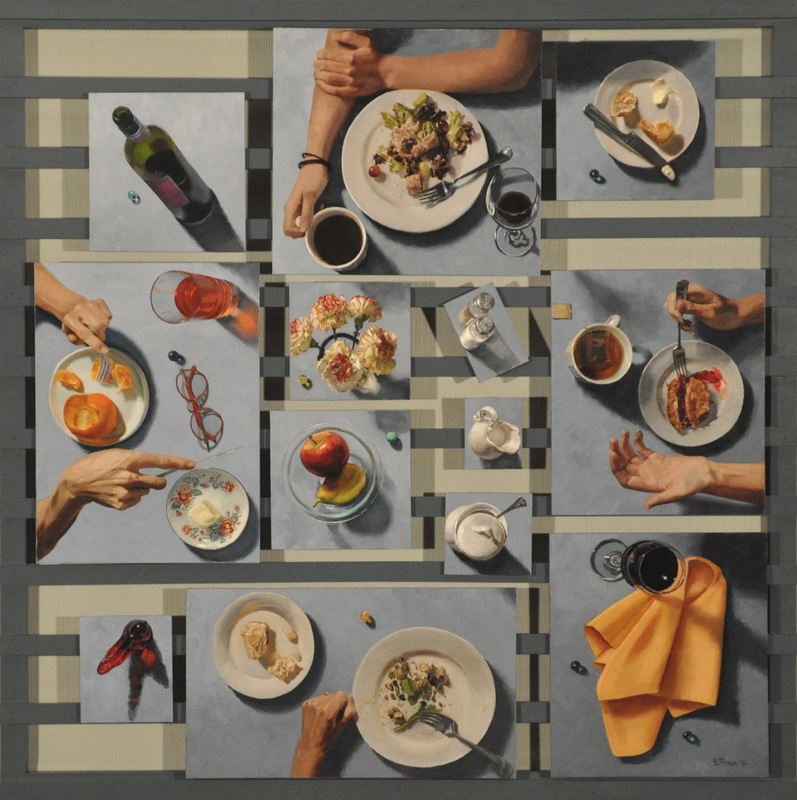 I liked the impact of the use of hands in "The Conversation" to enliven a painting that was otherwise pure still life, and decided to use it again. "Comfort Food", Oil on board, 11 1/2" X 20"
Learned today that "The Conversation" was given an Award of Merit in the Springville Spring Salon﻿. 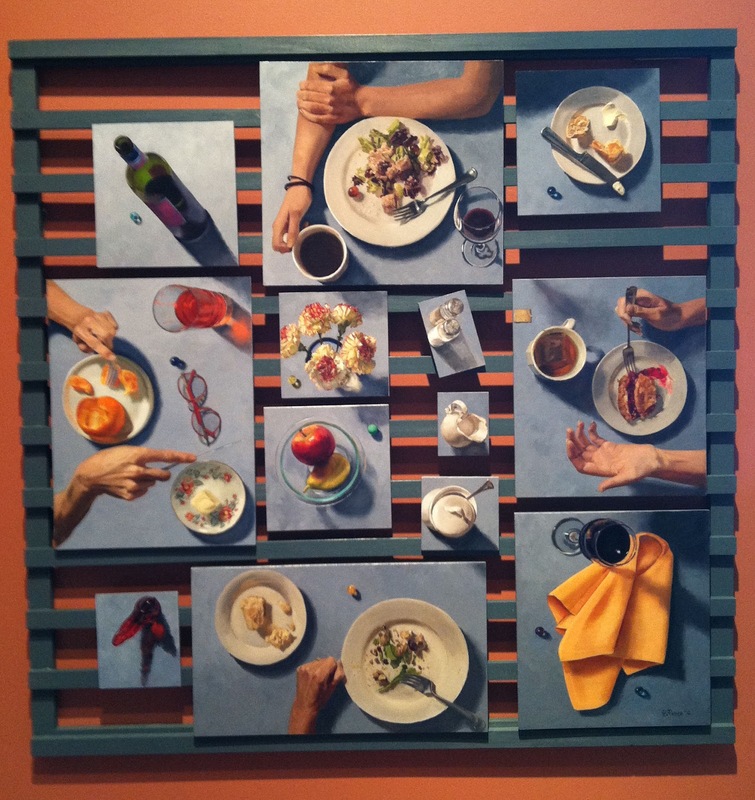 The image here is of the painting hanging in the show. The color of the wall behind the painting couldn't be better. 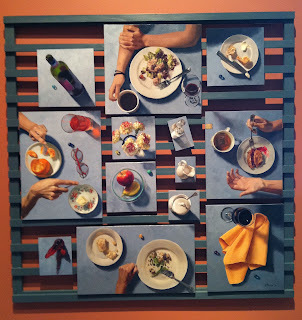 The Spring Salon at the Springville Museum of Art is the best annual competitive show of living Utah artists. It was an honor for me to receive it and a confirmation that all the training at the Hein Academy of Art(http://www.jeffreyhein.com/blog/hein-academy-of-art/) in Salt Lake City was worth all the time and effort.